Colourtrend provides a wide range of premium quality paints in a huge array of colours and finishes – perfect for every surface, inside and out. Made in Celbridge, County Kildare, we are Irish to the core. 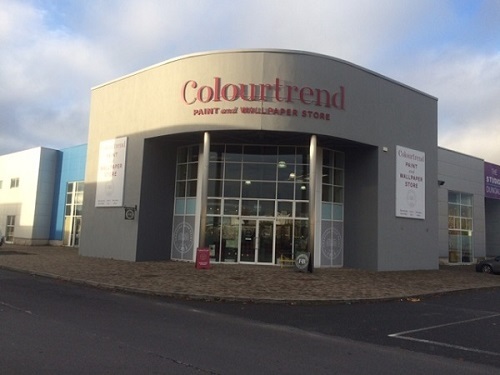 Today, the Colourtrend Collections are available through our company-owned Colourtrend Stores and in over one hundred carefully selected independent paint retailers across Ireland and the UK. Colourtrend is committed to the Independent Retail Sector and support it through the provision of: Colour Swatch/Fan Deck, Chip Racks, Colour collections, Real paint colour cards and panels, interior and exterior pure acrylic paints and paint accessories.